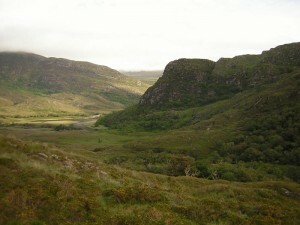 BEC Consultants carried out a habitat survey and prepared a habitat map for Killarney National Park during 2007. The map for this internationally important area will be used by National Parks & Wildlife (NPWS) staff for the conservation management of the National Park. The map provides information on the location and extent of all habitats within the National Park, with particular emphasis given to areas of high conservation value and EU Habitats Directive Annex I habitats in particular. The project included a field survey and the use of aerial photographs and existing information from published and unpublished surveys and reports. Consultation with National Park staff, local ecologists and national experts from NPWS and Trinity College Dublin was also an important part of this project. The field survey was carried out according to the habitat descriptions given in Fossitt’s (2000) A Guide to Habitats in Ireland with notes made on sightings of mammals and birds and on the location of invasive species. The habitat map was prepared in ArcGIS.